It’s okay if you aren’t sure exactly how every plumbing aspect in your home works, but you should be familiar with the basics of backflow preventers. If anything ever goes wrong with your plumbing, it’s always good to be able to identify the issues sooner rather than later. This allows you to call a professional plumbing service and give them a good idea of what is going on. Your backflow preventer is an important aspect of your plumbing system. Backflow preventers are used to protect portable water supplies from contamination caused by backflow. In your water supply systems, the water is maintained at a high-pressure level to allow water to flow from your shower, taps and other fixtures. 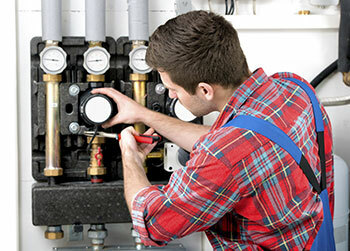 If water pressure fails because a pipe freezes or a main bursts, the pressure level will normally reduce or fail. When the pressure reduces or fails, contaminated water from the soil or other sources can start to enter the system. Again, you don’t have to know every single thing about plumbing, but it’s good to know some basics and key terminology when you need to talk to your plumber. When you have an undesirable reversal flow of gas, suspended solids or liquids enter a portable water supply, you have backflow. Backflow preventers are the devices that are used to prevent this. There is also something known as a backwater valve, which is used to prevent sewage from backing up and causing basement flooding. One of the most reliable ways to provide backflow prevention is to use an air gap. An air gap is an open, vertical space between the device that connects to the system and any spot where contaminated water can form. Air gaps don’t have any moving parts but are the simplest way to have a backflow preventer. This entry was posted on Friday, December 11th, 2015 at 1:34 pm. Both comments and pings are currently closed.